If you have dreamed of learning to paint some day, the new year is the time to start.t goal. 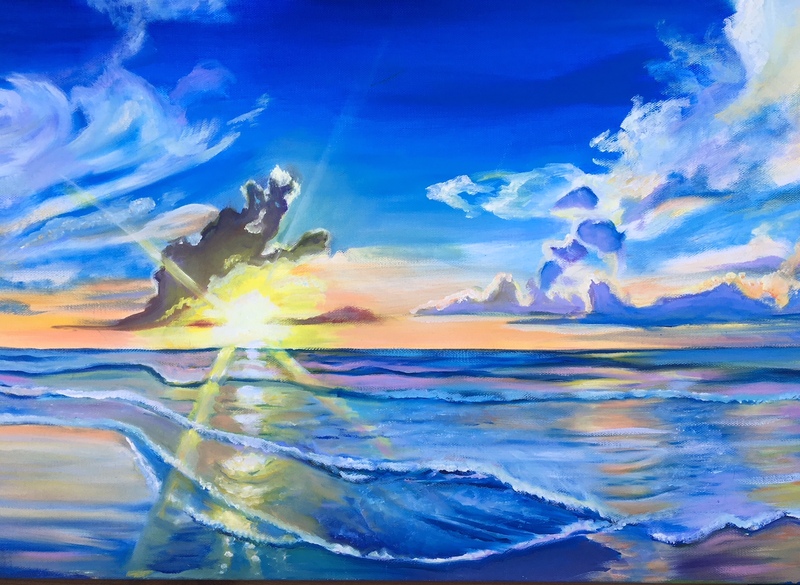 The Studios of Cocoa Beach announces a new class for beginning and intermediate artists, “Introduction to Acrylic Painting “ which will be taught on Wednesdays from 6 to 9 pm from January 16 through February 20, 2019. This six week class will be taught by award winning artist and experienced teacher Jaymee Weinreich. The instructor will walk students through several projects with an emphasis on composition and technique. Cost of the class is $125. A $25 deposit is due on January 13. Register early to reserve your space and for a materials list. Instructor will provide materials for the first class. Register by Email jaymeeweinreich@gmail.com or text/call 787-640-6119.